Photo Essay: Portraits of a Cadet – Specifically? Anything. 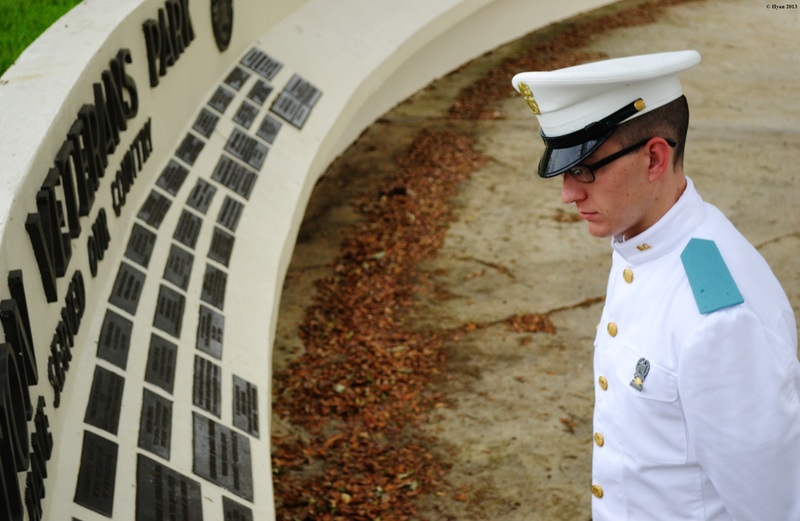 Joseph takes a few moments to reflect in front of the Plantation veteran’s memorial wall on March 18,2013. Joseph is a cadet at The Citadel, The Military College of South Carolina. 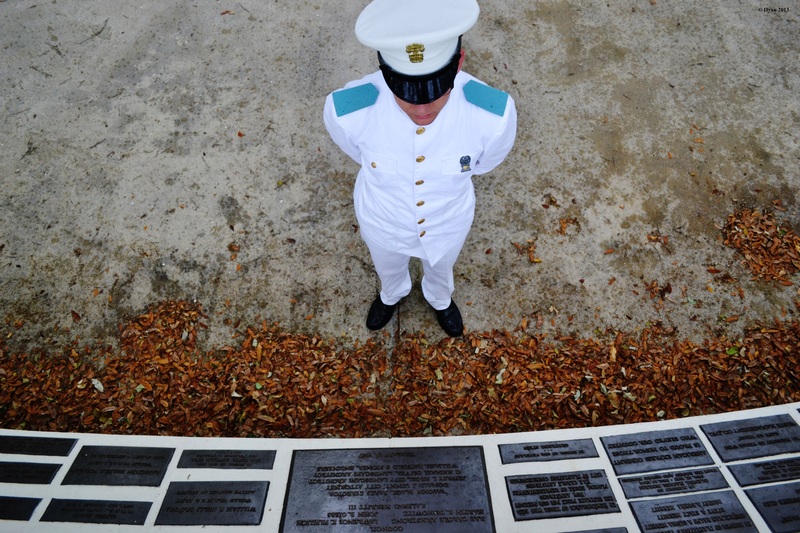 Joseph visits the City of Plantation’s Veterans Memorial Wall on March 18, 2013. He has hopes to one day serve his country as bravely as others he has looked up to have before him. These photos are taken from a photo essay I did for a photojournalism class I had the privilege of taking at UM with Professor Maggie Steber. The assignment was to photograph a subject in an environment that best defined them and could demonstrate who they are, what they do. My subject was my friend, Joseph, who had recently returned home from his studies at The Citadel, which is the Military College of South Carolina. The location I chose for the photos is close to where we both live, and I felt that it was both a powerful background and also one that really demonstrates the driving force that encouraged Joseph to pursue a career in the military: inspiration from the service of others.